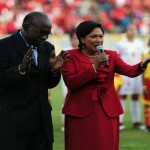 Jack Warner did not try to prove his innocence of a stream of financial crimes last night at the Pierre Recreation Ground, Charlieville. He just tried to taint everyone else by association. FIFA, he said, paid bills at the Centre of Excellence. Only FIFA never actually claimed ownership of the venue; it was supposedly thought to be a CONCACAF asset. 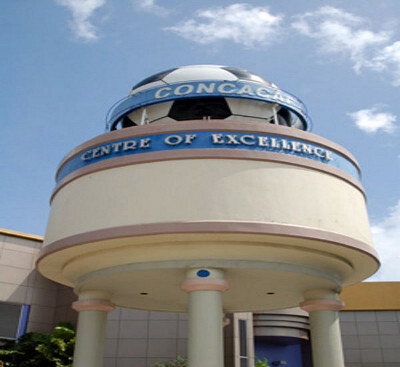 Photo: The Jack Warner-owned Centre of Excellence in Macoya was the subject of a legal probe by CONCACAF. 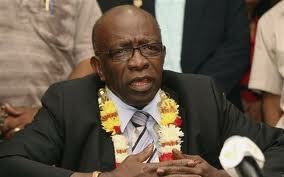 CONCACAF was not registered in Trinidad and Tobago until 1999, he said. He did not mention the fact that he registered the C.O.N.C.A.C.A.F. 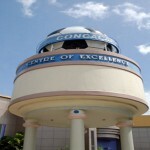 Centre of Excellence on 26 September 1996. He claimed that he never hid his stake in the Centre of Excellence since, on 19 July 2012, he told the Trinidad Express that it was ex-FIFA president João Havelange’s gift to him. 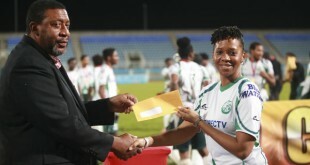 Warner omitted that, on 25 May 2012, he told CNC3 that the venue was Havelange’s gift to the Caribbean Football Union (CFU) and, on 27 May 2012, he told the Trinidad Guardian that he was not the owner. He showed communication between Havelange and himself, which showed that the ex-FIFA president promised him US$6 million for the venue. But no sight of the subsequent letter from Havelange’s successor, Sepp Blatter, which said Havelange never gave a cent or that the Centre of Excellence eventually cost just under US$26 million. Warner is always in his element when there are no investigators, auditors or question and answer segments in the mix. And this was as much “straight talk” as Madonna was “like a virgin” in the 1980s. 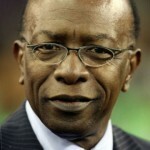 Warner, who is already ex-FIFA vice president, ex-CONCACAF president, ex-CFU president, ex-TTFF special advisor, ex-Minister of Works, ex-Minister of National Security and ex-UNC chairman, revealed too that he will also become ex-Chaguanas West MP when he gives up that post today. So the 70-year-old businessman, with more bank accounts than the 2,000 onlookers combined, now officially has more ex-relationships than US pop star Taylor Swift. His story does not end there, though. 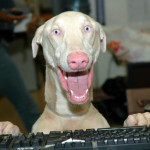 Warner has already choreographed his own resurrection in 90-days, when he hopes to win back his seat in a by-election. 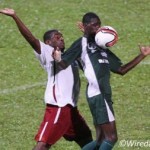 It is a challenge to the Prime Minister to support him or risk being spanked in a traditional UNC safe seat. It is a reminder to Opposition Leader Keith Rowley that Warner is possibly still strong where it matters most; at the polls. Like an ageing former heavyweight champion, Warner prefers to gamble on a final fight rather than accept his own mortality and bow out quietly. Maybe he thinks his best safeguard against a local police probe and possible FBI charge is to stay relevant to the Prime Minister. But, then again, Mr Live Wire figures that resigning to spend more time with his family in Miami was never really on the cards for Warner. Mr. Jennings! Sir….I’ve tried tirelessly to obtain your email address to no avail. I can probably understand why- You’re, in my oponion and that of many “the most valuable individual to the sports world, especially soccer. I admire you and the road you have chosen as a career- I’ve always craved to be an Investigative Journalist- but lack the experience and training. I’m betting that any education you have to offer will simply surpass any institution may have to offer…I salute you! That said…I’ve watched all of your videos, read all or most of your writing / articles on JW and I must say “Thank you” for the honest reporting that you have provided. I must say though I got really “f***ing pissed when I saw JW put his hands on you, I wanted to rip his head off. 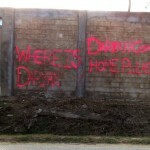 He is not used to people asking him pointed questions and witout fear, even on his home town…. JW have singlehandedly destroyed the image of our country, he has caused the suffering of Haitians to continue by stealing what was rightfully theirs and stole from the men that put us on the map via Germany! He did all of this without fear and now, shows nothing, not one iota of remorse. Keep up the great work you’re doing! And if ever you’re in Toronto, Canada for any reason, I’d like to invite you over for a good home cook meal; at my expense of course. “And this was as much “straight talk” as Madonna was “like a virgin” in the 1980s.” – Excellent!